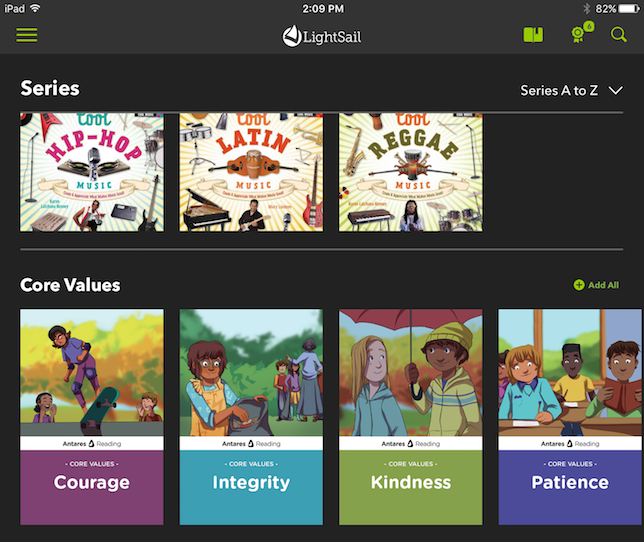 LightSail Education has launched version 4.3 of its K–12 adaptive reading app with new features that open up more personalization options to teachers and students. The LightSail platform provides high-quality reading materials — offered across reading and grade levels — with in-text assessments and real-time access to student data available to teachers. Its library contains more than 6,000 texts embedded with assessments, including commonly assigned reading books like The Giver, The Great Gatsby and To Kill a Mockingbird. Titles are presented to students in a personalized way that takes into account the student’s Lexile measure and adapts titles as they progress. With one tap, students can now save their favorite book series in the LightSail app. Image: LightSail. Improved search functionality across the app, allowing users to lookup titles by author, genre and topic. LightSail version 4.3 is available in the Apple App Store.